You will fall in love with the Hotel Colorado, the only hotel in Lignano Pineta with a sea view, as soon as you arrive. Not only is our hotel very close to the beach, only 50 metres away, but it also has the advantage of being surrounded by a verdant pinewood and luxuriant garden that creates a real oasis of wellbeing. Just a short walk through the park outside the Hotel and you will find yourself directly on the beach. 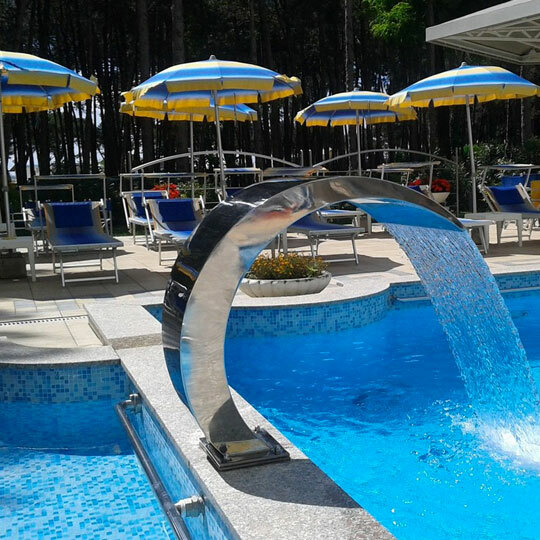 Thanks to its unique position in Lignano Pineta, Hotel Colorado offers its guests the chance to unwind in the calm and tranquility of the pinewood, just a few minutes from the beach. Families and couples can relax by the swimming pool with its sun loungers, children’s pool and heated hydro-massage pool or at the hotel’s private beach; pet owners can take advantage of the ample garden where there is also a children’s activity play area. The hotel is on 3 floors and has 61 rooms. There is free outdoor parking and garage parking, uponpayment and on request. The three-star superior hotel Colorado wishes you happy holidays in Lignano. 2 comfortable apartments in the city centre, equipped with the main amenities just like air conditioning, private parking space, TV-Sat and Wi-Fi. The hotel offers 61 rooms in Lignano Pineta of different types to meet the needs of all guests. Our rooms are welcoming and beautifully furnished and decorated in a modern style, and come with a comfortable furnished terrace. All rooms are equipped with air-conditioning and heating, fridge, telephone, flat screen sat-TV, safety deposit box, private bathroom with shower and hair dryer, balcony with clothes horse, table and chairs. 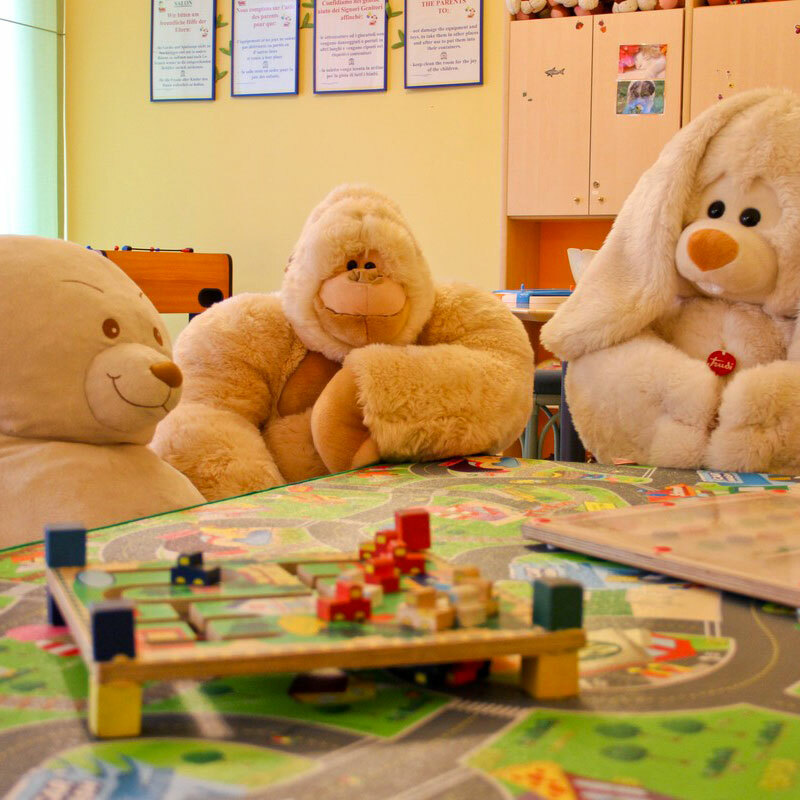 For families we offer connecting rooms with one or two separate entrances. The Hotel Colorado is located just 50 metres from the beach in a peaceful area surrounded by greenery and lots of services. The hotel is in a convenient location, not far from the Villaggio Bella Italia Efa Village in Lignano Pineta (formerly Villaggio Sportivo Ge. Tur.). A few metres from the hotel you will find the charming pedestrian/bicycle path that connects Sabbiadoro and Pineta. If you want an amazing night out with lots of fun, only 10 minutes by foot along the seafront will take you to the famous Tenda Bar and the centre of the Lignano Pineta. The Comfort at your disposal for a holiday of fun and relaxation! The beach of Lignano Pineta is only 50 metres from the hotel, just a short walk through our green pinewood. The Hotel has a gym equipped with modern and innovative machines to help guests stay in shape even during the holidays. The Hotel Colorado has a swimming pool (14 x 8 metres) equipped with umbrellas and sunbeds, a small pool with shallow water for children and a hot tub. The lush outdoor park is equipped with relaxation areas and games for adults and children, who can also meet the animals on our small farm! Guests can rent bikes and child seats at the reception area to discover the city of Lignano while travelling along its bike paths. The Hotel Colorado has a restaurant, bar and a beautifully furnished outdoor terrace where guests can relax during the hot summer days.